I have this theory of travel. I believe trips come to us, sometimes in unexpected ways, just when we need them. That is probably less metaphysical that it first sounds. We are often drawn on some subconscious level to the things we need, real or perceived. Amsterdam has been a city high on my list for years but I had yet to visit until last week. I was drawn there (though largely by an airline fare sale) but it fed my soul all the same. There is a constant question that plagues many and it can take many forms. Why am I here? What is my purpose? Who am I? These essential musings on our very nature are often lost in the wanderings of day to day existence. Travel helps us see though the daily haze and wonder at the incredible beauty in the world. It helps us question our place and seek new possibilities. It helps us see the universality of pain and see our own pain through the lens of others suffering. It helps remind us of the amazing talent and beauty people share every day, and the genius of artists of the past that still make us cry in joy that such a thing of beauty could even exist. 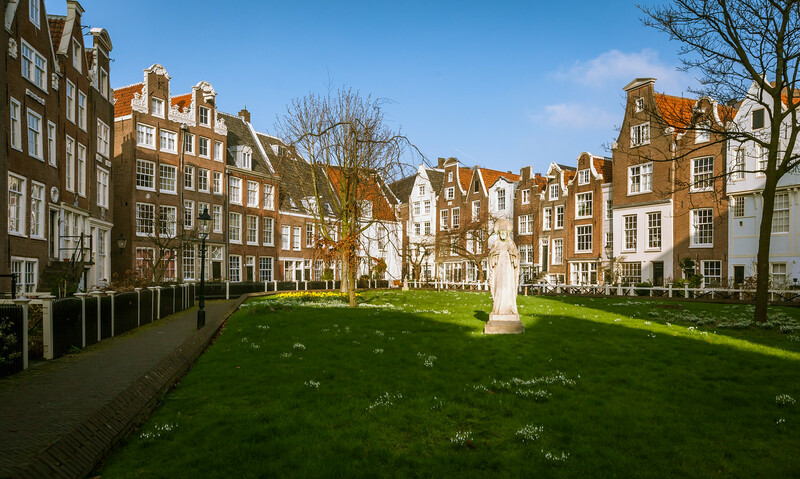 Many of the residential areas in Amsterdam contain a wonderful courtyard called a hof. Begijnhof is perhaps one of the most famous, but hidden from view behind a door. It’s a beautiful and peaceful place away from the hustle and bustle of the city. It is one of the great lessons Amsterdam taught me. Posted in Amsterdam, HDR Photography, Netherlands, Travel and tagged Amsterdam, Europe, Netherlands by Bri Duncan.